Norfolk was born in the turbulent reign of Henry VI, in a country still reeling from the loss of its French possessions. By the time of his death, the rival houses of Lancaster and York had coalesced into the Tudor monarchy. He was a stalwart servant of the state, and won one of the greatest Tudor victories, and Stewart defeats – the Battle of Flodden. His quiverful of children dominated the Tudor court. Norfolk was a soldier and diplomat, trekking between the battlefields of the Wars of the Roses, the Anglo-Scottish borders, London, and even the Imperial court, but his home was always East Anglia, and it was to there he eventually returned. Norfolk enjoyed the prestigious role of Earl Marshal, a high crown office that is still held by his descendants. Although there is little information about Norfolk’s character, we can glean a little from his will. There are no biographies on Norfolk. Like his father, he was a strong supporter of the House of York, and of Richard III in particular. 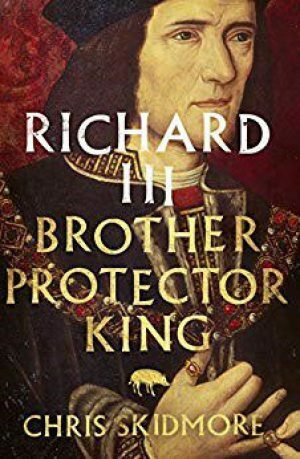 Chris Skidmore’s latest work, Richard III, Brother, Protector, King, looks at this king who attracts such heated debate with a cool and judicious eye.